When it comes to choosing a wooden floor for your home or business premises, you want a wooden flooring showroom that offers you a great choice of flooring at affordable prices. And that’s where Kemellies of Geelong can help. 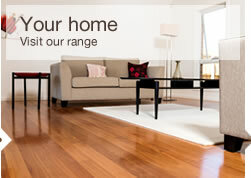 We stock probably the best selection of timber flooring Ballarat has available, at prices that won’t break the bank. And when it comes to laying timber floors, Ballarat homes can really benefit from the expertise of our team of dedicated fitters. We provide exactly the kind of timber floorboards Ballarat homeowners want for their homes, and we offer a fitting service that’s second to none. While you may have been disappointed with the selection of wooden flooring offered by other flooring suppliers, you’ll find that Kemellies stock one of the most comprehensive selections of wooden flooring in Ballarat, including our selection of Jarrah timber flooring. And if you can’t decide which would be the best flooring solution for you, our knowledgeable staff will be on hand to give you the benefit of their experience. Whether you’re planning to install a bamboo floor or Spotted Gum timber flooring, Ballarat homeowners can rest assured that they’ll get all the advice and help they need from our Ballarat timber flooring specialists. When you pay a visit to our showroom, you’ll see why we’ve a growing reputation as the Ballarat timber floor specialists. Not only do we stock one of the best selections of timber floorboards Ballarat has available, but our friendly customer service assistants have a wealth of knowledge about all kinds of flooring. So whether you want to know the pros and cons of installing bamboo floorboards or you want information on how to fit Jarrah timber flooring, Ballarat homeowners can feel confident that they’ll be getting the right advice. 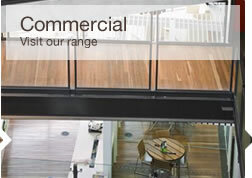 And when it comes to providing timber flooring for commercial premises, Kemellies are fast becoming the company of choice for fitting the kind of solid timber flooring Ballarat businesses need to create a stylish and practical solution to their flooring needs. Our showroom is open five days a week, from Monday to Friday, and we also offer private appointments on Saturdays. While we do supply wooden flooring for you to fit yourself, we also have a team of expert flooring fitters at your disposal. So if you’ve never fitted wooden flooring before, or you want to fit a floating timber floor, Ballarat flooring specialists Kemellies will provide the expertise needed to ensure that your new floor is absolutely perfect. If you’d like to book a Saturday appointment or you’d just like to ask our team a question about our wooden floors, simply get in touch by calling (03) 5222 8425. We’re waiting for your call. As Ballarat timber flooring specialists, the team here at Kemellies are always available to discuss the things you need to consider when buying and installing timber floorboards. However, there are a few things you should keep in mind before you buy, ranging from the finished effect you’re trying to achieve to that all-important consideration – budget! Of course, by buying your new flooring from Kemellies, you’re going to benefit from being able to choose from one of the widest ranges of timber floorboards Ballarat has available, not to mention the best prices for wooden flooring Ballarat-wide. 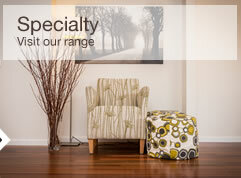 Quality hardwood flooring is very versatile, so it can be fitted in most rooms in your home. However, you will have to take the amount of moisture in a room into account before deciding on the type of wood to use. If there’s a lot of fluctuation in temperature and moisture, then an engineered wood floor is a better choice than the kind of solid timber flooring Ballarat homeowners often prefer, as the multiple layer construction is able to withstand fluctuations in temperature and humidity far better than solid wood flooring can. Likewise, if you already have underfloor heating in your home, engineered wood is the best option for creating the kind of floating timber floor Ballarat homes need. You’ll also want to consider the amount of traffic your floor is going to receive, as this will also determine how hard the wood needs to be. Spotted Gum is an excellent choice for areas of high traffic as it’s extremely hard wearing, and looks beautiful too. If you need any further advice on whether an engineered or solid wood floor is the best choice for you, call the Ballarat timber experts, Kemellies and speak to a member of our team. Do you have the budget for the hardwood floor you prefer? One extremely important consideration when installing a wooden floor is price. It’s no good choosing a floor that you can’t afford, no matter how nice it looks. You’ll find that hardwood flooring varies in price according to the size of the board and the species of wood. As the planks get wider, thicker or longer, the price increases, plus the rarer the species, the greater the price. As native Australian hardwoods, Spotted Gum and Jarrah are great options for creating affordable but beautiful timber floors for almost any room in the house, and have proved to be extremely popular choices for wood flooring Ballarat-wide. 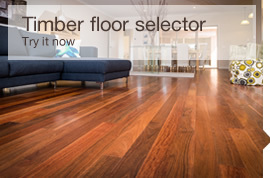 At Kemellies, we not only have value-for-money prices on all kinds of timber floors in Ballarat, but we always have special deals on Jarrah timber flooring Ballarat-wide, and offer some of the best prices on Spotted Gum timber flooring Ballarat has available.